A lot of the class and charm of times gone by has been lost on newer generations. There used to be a time where you had to play outside with your friends to have fun. Now we have the option of blasting at each other in crazy violent video games from half a world away. When you can meet in the virtual world, why bother to find someone real? Something similar happened with television. In the past, movie makers had to be more creative. They didn’t have access to color. They didn’t even have access to sound! They needed to do evoke feelings in the viewer a different way, and they did so successfully. These are some of my favorite French films from the era of silent movies. Film first arrived in in the late nineteenth century, but the science fiction genre didn’t arrive until 1902, when Le voyage dans la lune sent a rocket to the moon long before rockets were invented. That wasn’t good news for the Man in the Moon. The short film runs for only fifteen minutes, but by 1902 standards it was a masterpiece. It was conceived by Georges Méliès, whose storytelling was greatly appreciated. He was creative and thoughtful, and he inspired this new art to go farther and farther. Today’s American blockbuster hits from Los Angeles and Nassau County, Long Island might be a spectacle all their own, but something has been lost along the way. It’s all about the biggest explosions, the best computer animations, or the most creative ways of killing someone. Sometimes the grainy, archaic silent films of the past helped push creativity even more. Filmmakers had to find ways to tell a story without words–and that’s no easy feat. Fantômas I: À l’ombre de la guillotine was a great series that followed the criminal exploits of Fantômas. Sometimes you don’t need words to show that something has been stolen or that someone has had an affair. That’s the fun part of interpreting these famous French films–you can’t do it without using words and phrases like “it seems” or “it looks like” to describe each scene. Someone else might see something differently. This series comprised of five films managed to pass the five hour mark. This was the film that inspired the modern crime thriller genre, and many remakes were made later. Everyone likes a good vampire story, and Les Vampires delivered. It debuted in 1915 while the world was dealing with a grand war, and perhaps that impacted the dark, somber mood that this movie maintains. The series was noteworthy because it glorified criminal activities (critics hated it), and it has continued to inspire writers, filmmakers, and other artists to this day. Fashion is defined by so much more than a time period, or a simple change in popularity from one generation to the next. Fashion is a culmination of thousands of tiny little experiments conducted over decades and centuries. Each experiment is a test. To pass the test, you need to have the right look at the right time, and you need to catch the eye of the right person. How do you do this? Well, it might help to look at history–and what better place to start than France? These are the fashion houses that made France synonymous with great fashion over the last century. If you’ve never heard the name Paul Poiret, then you should take a minute to look him up. He worked for an umbrella maker, and it was that experience that jump started what would be a rewarding career in fashion in an unexpected way. Sometimes you don’t need wealth to make something that everyone will love. Art isn’t about money. It’s about how you put things together. Poiret used leftover silk scraps from those umbrellas to make a doll dress for his sister. He didn’t make a name for himself until he controversially injected freedom of movement into women’s fashion by eliminating the corset from traditional wardrobe. That started it all. People were drinking and driving and committing DUIs. You know the Dior brand. Christian Dior followed in the footsteps of Chanel by continuing to help fight against typical female wardrobes thought appropriate only because of gender. Dior’s “New Look” showed off the entire female body with form-fitting skirts and brimmed hats. These garments imagined a look for women that didn’t show off too much–but didn’t show off too little either. There was another massive twist in women’s wear in 1966 when Yves Saint Laurent introduced a tuxedo suit designed entirely for women. This also marked the end of an era in French-based fashion. In the subsequent decades, cities around the world introduced their own creative twists on old favorites while adding new ones to the mix. New York, London, and even Tokyo took the spotlight. Perch in Los Angeles. Image: Yelp. Once upon a time, downtown Los Angeles was home to “French Town.” In the late 19th century, “French Town” was home to the majority of LA’s French residents, hence the name. Since then, the french population and influence has dispersed, dropping bits of culture throughout the city. Some of the french bars in Los Angeles have remained with a more traditional french approach, while others have modernized, adapting to the culture, but still keeping that classic french feel. Petit Trois brings the classic french bar style and cuisine to the streets of Hollywood. The small bar/restaurant is open from 12PM-10PM every day but Saturday, which they keep the kitchen open an extra hour, until 11PM. They do not take reservations and the menu features traditional french bar food like steak tartare and various breakfast style dishes, including the best omelets in the Los Angeles area. Perch resides on a rooftop in Downtown LA. The rooftop has some breathtaking views including Central Library. Perch has an extensive wine menu and a late night bar menu that is offered from 11pm – 12am. One of the best items on the menu are the Merguez sliders and the truffle poutine. 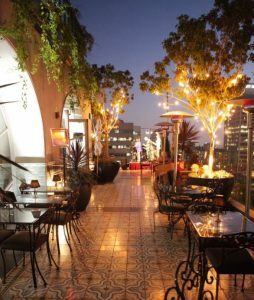 Downtown Los Angeles is packed with different nightlife hotspots from cultures around the world. The BoardRoom is a lounge where you can have drinks, grab a bite, enjoy music, and mingle with others. The food menu is filled with a bunch of traditional french h’orderves and a few classic french entrees. The extensive drink menu will have you asking for another one before you finish your current drink and wanting to try everything on the menu. After 8:30pm, from Thursday to Sunday, The BoardRoom is open for you and your friends. Pour Vous is a fair priced, french-influenced bar in Los Angeles. Pour Vous opens at 8pm from Tuesday to Saturday except for Friday, when the bar opens up at 5pm. The nightlife really does not kickoff until around 10pm. Pour Vous is known for their tasty cocktail menu that leave you wanting more by the end of your glass. For those of us who aren’t very adventurous–or perhaps just overly squeamish about what we eat–it can be a good thing when cuisine from overseas bears a name pronounced in a foreign tongue. Although most of us already know what escargot is, this can especially be the case for those of us who don’t. Escargot is French for snail, and the dish is generally eaten cooked with a hint of lemon. It may bear the same name even for those varieties that are left raw. The etymology of the word has a more literal translation, adding in the word “edible” to make escargot mean “edible snail.” The first use of the word seems rather new, historically speaking, and goes back only to about 1892. Even so, historians do know that escargot the dish was enjoyed in ancient civilizations. To the Romans, it was a rare, expensive food that only the wealthy could afford. But the human palate for snails goes even farther back than that. Archaeological evidence shows that snails were enjoyed in prehistoric times as well. When you eat escargot, the type of species matters. Land snails can sometimes be altogether inedible. Some are even too small for mass consumption. Of the species that are edible, there are a number that simply aren’t desirable. After all, the taste of a creature’s flesh is important when you’re about to consume a dish often known as a delicacy. Some species are also a good source of protein. Because the dish is so well known, it even gets its own unofficial American holiday–May 24 is National Escargot Day. Escargot are often farmed because of their desirability, and these are usually sustained with ground cereals. Naturally, no one wants to eat a snail with full bowels, and so sellers will often forego feeding for a few days prior to sale. After that, the escargot is ready to be cooked and eaten! 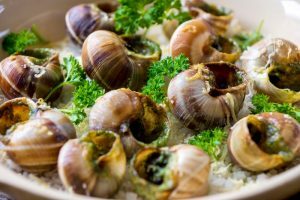 Preparation of escargot varies depending on the region where you consume it, but the French variety of the dish is typically prepared with a generous helping of garlic butter, soup, or wine. These substances are used during cooking. The snail is removed from the shell, cooked in whichever other ingredient the chef decides to use, and then likely replaced in the shell. Usually, they are served by the dozen or half-dozen. In the United States, you might not often have the chance to experience this dish. 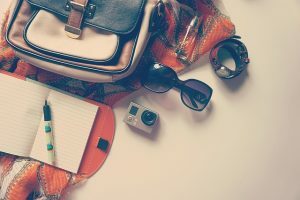 It is often highly recommended by those who have tried it, and you’re most likely to have the option as part of a cruise or resort stay, or at a fancy restaurant. If you do decide to indulge in this popular French cuisine, then you’ll enjoy a heft fifteen percent protein content in addition to just over two percent fat. Americans have a tendency to pasteurize absolutely everything, even when we don’t need to. This is the result of socially reinforced health and safety standards that are supposed to benefit everyone. For example, there are all types of bacteria both good and bad, and most of them won’t do us any harm. Pasteurization often destroys the kind of bacteria that make your gut healthy, and so a lot of the cheeses that are unpasteurized can be hard to find in America–or are at least absurdly priced. Luckily, you can find some types of cheese everywhere based on popularity alone. Roquefort cheese is a pasteurized brand of cheese that originated in France. It is made from the milk of a Lacaune sheep, and you can easily tell you have the right one by the obvious blue mold growing within the brick of cheese. It is also usually of the whiter variety, crumbles easily, and tastes tangy and moist. You might also detect the flavor of butyric acid which itself is a product of a certain type of fermentation–and although we won’t detail it in full here (nor would you want us to), it is found in and smells of human vomit. Yummy! By law, only cheeses that are aged in a specific region of Southern France, the caves of Roquefort-sur-Soulzon, can be branded Roquefort. This variety in France is the king of all cheese, and it takes about four and a half liters of sheep milk to make only a kilogram of the final product. Without the caves in which Roquefort is produced, there could be no Roquefort cheese. This is because the veins of mold inside each brick can only be found and manipulated from within these caves. It grows within the soil, and so only companies with access to these caves and the specific kind of mold can produce the cheese. The cheese takes approximately five months to age, and is best enjoyed between the months of April and October. Roquefort cheese isn’t only known for its distinctive taste. Prior to the discovery of penicillin, it was used as a medicine. Shepherds in the area would use the cheese as a salve, applying it directly to wounds. It was known to curb the chances of coming down with gangrene. Studies done on the medicinal properties have maintained unsurprising conclusions, based on this other usage. 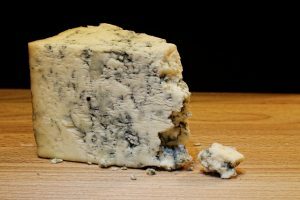 In 2012, the cheese was found to have anti-inflammatory properties, and another study a year later discovered that the proteins in Roquefort can stop the spread of Chlamydia. In other words, if you want to say no to sexually transmitted infections, say “yes” to Roquefort cheese! French women are known for their elegant beauty, but they also possess superb emotional gravity and wit, and as such make not only a great attorney, but superb actresses. They are daringly gorgeous and ooze a sense of charm that is rarely found in any other nationality. French actresses have made a huge impact on modern cinema with their stunning looks and superlative acting talent. In the 60s it was blonde bombshells Catherine Deneuve and Brigette Bardot who captivated cinema audiences with their sultry looks and in the 80s it was Isabelle Huppert and Juliette Binoche who were international stars. Today Audrey Tautou and Eva Green are among the biggest film stars in Hollywood and a new generation is emerging with as much grace and elegance as their forebears. Below are some of the most famous French actresses with details about their lives, acting careers, and films. Born to parents who were both actors it was natural for her to become an actress. Her acting career boasts acting roles in both English and French language films. In America, she acted in ‘Big Fish’ and in France she starred in ‘A Very Long Engagement’. She won an Academy Award for her superb rendition of the French singer Edith Piaf in ‘La Vie en Rose’ and received critical acclaim for her acting in ‘Rust and Bone’. In Hollywood she became highly sought after having acted in films such as Woody Allen’s ‘Midnight in Paris’ and Michael Mann’s ‘Public Enemies’. She also starred in two of Christopher Nolan’s films ‘The Dark Knight Rises’ and ‘Inception’. Her performances in movies such as ‘Nine’, ‘A Good Year’, ‘The Immigrant’, and ‘Contagion’ has proven her ability to portray varied characters. This vivacious French-Canadian actress has received universal acclaim for her roles in films like ‘The Hundred-100 Foot Journey’, ‘The Walk’, ‘The Promise’, ‘Yves Saint Laurent’, and ‘Mood Indigo’. Starting off as a successful model she moved to Paris in 2011 and starred as Miss Météo in the talk show ‘Le Grand Journal’ on the small screen. Her first major role on the big screen was as Ophelia in the French comedy film ‘Astrrix and Obelix: God Save Britannia’. She continues to impress critics with her acting performances in movies such as ‘The Marchers, and ‘Big Bad Wolf’. This French actress is best known for her portrayal of the eccentric, shy waitress in the comedy ‘Amelie’ for which she won several accolades and awards. After attending acting classes at Cours Florent she landed a television movie production role in ‘Coeur de cible’. ‘Venus Beauty Institute’ was her feature film debut for which she was highly acclaimed. A daring actress that likes to experiment with different roles, she acted in the thriller ‘Dirty Pretty Things’. Tautou made her Hollywood debut starring with Tom Hanks in the film ‘The Da Vinci Code’. Vanessa Paradis began her career in entertainment as a professional singer at the young age of 8. She was the face of Chanel for many years and has starred in numerous French films such as ‘Café de Flore’ and ‘Une chance sur deux’. Accolades for her acting performances include the Cesar Award and the Genie Award. These are just a few of the many fabulous French actresses that have taken the movies by storm with their beauty and brilliant acting abilities. 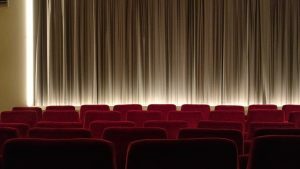 Please check out the following list of the top 10 French movies – see if you can notice any of the actresses! France is often a place that winds up on many Americans’ “bucket list” or retirement to-do list. France is so far away, and yet we think we know it so well because it helped us in the Revolutionary War, and we kept the French from speaking German today. While we have similar governmental systems and we often share food recipes back and forth and we have as many French restaurants here as France has American restaurants, the belief that we actually understand each other is not entirely true. We Americans, at least, are often guilty of buying into various comedy spoofs about French culture (see: the Pink Panther movies) or we get caught up in the glamor of French celebrities, and especially some of our favorite French foods and what we see in commercials promoting such. While there are a number of French people who have come to America, and some Americans who have moved to France, are we able to cobble together accurate depictions about each other’s society or people from plumbing into how each ex-patriate lives in their new homes? Clearly not. It is time to challenge some of these stereotypes about French people once and for all. There is no excuse, in the age of Google, for we Americans to continue to be ignorant about the French. 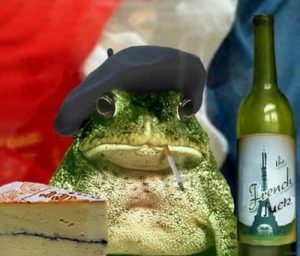 There should be a level of understanding, and allow us to contribute to your education by presenting you four common French stereotypes to inform you of the ones which are true and which are not. The French are all about wine and cheese. This is true. The French have a lot of vineyards and wineries, and they are very many connoisseurs of the fermented grape. 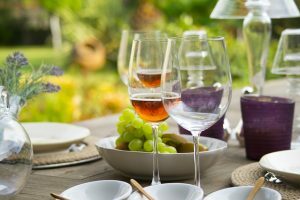 The French will drink wine at almost every meal, and you can be equally sure that a cheese of some kind will be somewhere on the table as well, if not on the plate – or on the baguette sandwich they enjoy eating. The French drink wine not as drunkards, but as a social beverage with meals; one glass at a time is most common. But cheese is everywhere – there are about 400 varieties of cheese in France! Baguettes are like an accessory. Baguettes are a familiar staple in France, and it is pretty common to find French people walking around with baguettes in their hand, to eat while they walk. The French don’t care about hygiene. You know, we Americans really need to get out of our old world history books. The French Revolution is over! This is so false it’s not funny. Yes, the French actually do bathe and shower, and France is known throughout the world as a perfume capital. Maybe it’s because of the belief that they don’t bathe, so they mask their B.O.? Eh, not so much. French men and women are real fashion plates. You would think with fashion being so chic in France that this is true, but let’s just say that the French aren’t necessarily any different than me and women in the U.S. While many French women are beautiful and dress well, there are plenty of “average” women and everyone dress casually and don’t always dress to the nines every day. As for the men, the stereotype of berets and scarves is way false. While men do wear scarves at times, men tend to try to be trendy and fashionable just like women, so you won’t find berets in common use, and scarves are more for the weather and not for fashion. Sorry to disappoint you.